Aileni is the host of this wonderful weeklong meme. It begins on Monday and you may post anytime for the rest of the week. I am happy to be allowed to post on Wednesday. Thank you Aileni. 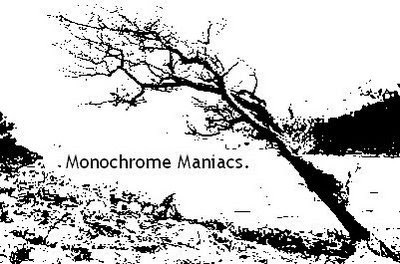 Go to Monochrome Maniacs for other participants. Not joining in this week [no black and white facility] I wonder if those huge doors are to keep ghosts in or people out? Stunning entrance! Very dramatic and imposing! Very nicely done!! I love the lines and the decorative entrance walls... excellent. 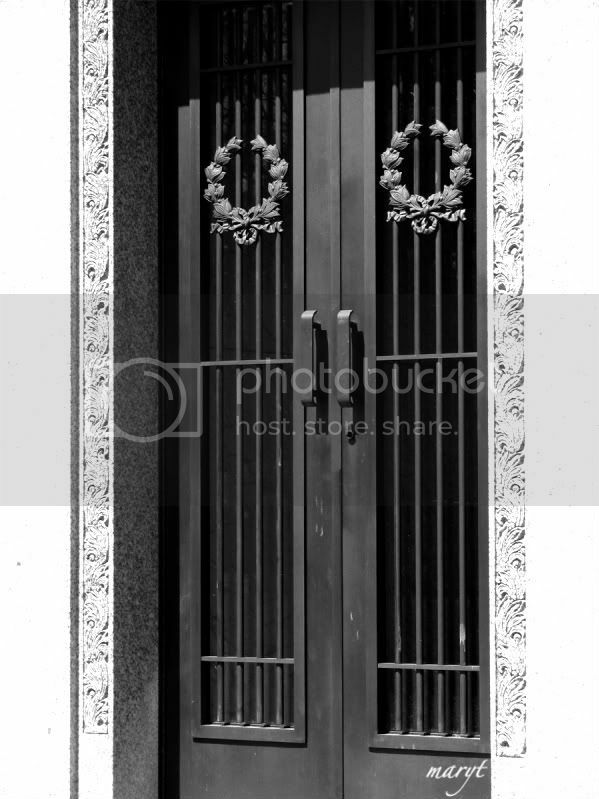 Just love the door with the wreaths. Very beautiful. I love this photograph. Perfect in monochrome. Hey: I'm launching a new photo meme called Think Green Thursday tonight. Would you like to join in? That's a nice photo. I like memes that let you post any time during the week. Of course, I need to do better with Ruby Tuesday before I pick up anything new. Sometimes I just come here for the pictures. You don't mind do you?